The Jonestown massacre in 1978 was a weird, horrific event in a decade full of them. A charismatic American religious leader named Jim Jones had founded a religious/Marxist cult called the People’s Temple Architectural Project and brought it to the South American nation of Guyana- where more than 900 of them died in a mass suicide on November 18, 1978. The method of the mass suicide —juice poisoned with cyanide— is the origin of the expression “drinking the Kool-Aid” (although the juice used at Jonestown was not literally Kool-aid). Aside from a couple of documentaries and a 1980s miniseries that starred Powers Boothe, there’s never really been a defining movie or television project about the events of Jonestown. Now however, there are reports that one is on the way, with some pretty prestigious names onboard. HBO is working with Breaking Bad and Better Call Saul creator Vince Gilligan and director Michelle MacLaren on Raven, a mini-series that will cover the story of the People’s Temple and the Jonestown massacre. Variety is reporting that Gilligan will write the series, MacLaren will direct and Oscar-winner Octavia Spencer will serve as an executive producer. The project, which has no word yet on casting or a release date, will tell the entire story of Jonestown; from its origins as an idealistic movement that had the ear of mainstream American politicians, to its exile to South America, its feuds with governments and members’ relatives and the eventual murder of a U.S. Congressman (Leo Ryan of California) who had visited them in Guyana, leading up to the mass suicide. This is a project that should be much-anticipated. It’s a fascinating real life story, completely unknown to people below a certain age - and if the O.J. Simpson projects this year taught us anything, it’s that audiences will watch longform TV projects about protracted scandals from a long time ago. 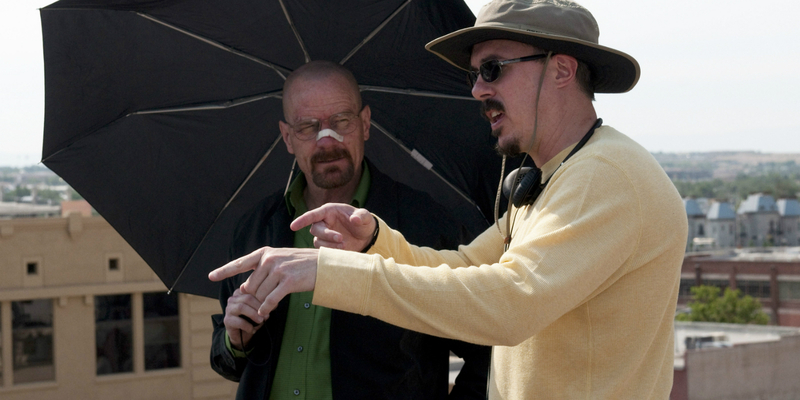 There’s also the reunion of Gilligan and MacLaren, the latter of whom directed some of Breaking Bad's best episodes. It's worth noting that the two of them aren’t just putting their names on the project as absentee executive producers; they’re the writer and director. McLaren was also once lined up to direct the Wonder Woman movie; she is a major talent who should get another chance at a huge project. Between the recent reports that she’s directing the movie adaptation of The Nightingale and now this Jonestown series, it looks like she has. Raven is in development at HBO, but currently has no set release date.